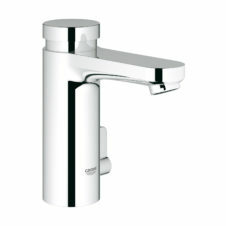 Self Closing Taps also known as non-concussive taps are the preferred solution for busy washroom environments to ensure water wastage is kept to a minimum without affecting quality of use. 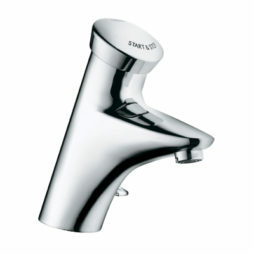 The Self Closing Tap, also referred to as a push-button, press tap or non-concussive tap can work in a variety of ways, utilising a range of design technology but the common function is to provide a timed water flow. 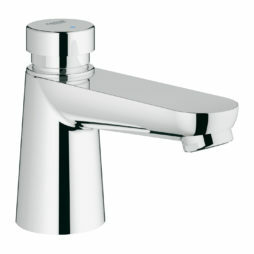 Self Closing Taps shut off after a chosen flow time and, depending on the model chosen, this can range from 2 seconds to three minutes usually. 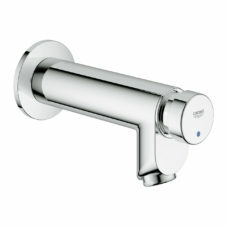 Self Closing Taps are a common feature in hotel washrooms, offices and in education settings like schools. The Self Closing Tap is the best choice for unsupervised environments, guaranteeing that water is not wasted with taps left running.